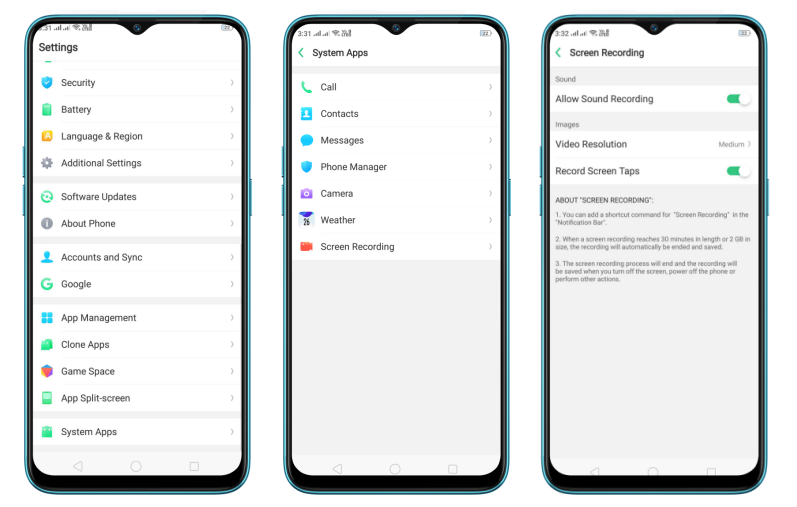 Let's enjoy the feature of Screen Recording in your realme device? Learn more about using the front camera when doing screen recording. Applicable for realme Smart Devices. 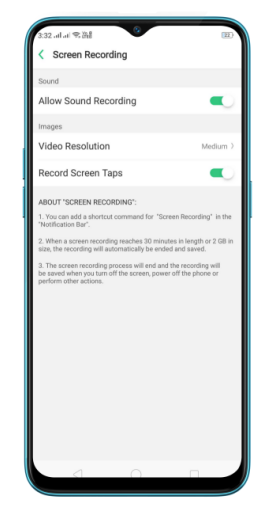 Screen recording allows you to record all the things you are doing on your phone’s homescreen (Note: this won’t record sensitive information like password and other features that will affect your personal security). Screen recording using the front camera. If you want to add a video explaining what’s going on when exploring anything on your home screen then, this feature is the best way to do it. Go to [Settings] > [System Apps] > [Screen Recording] then toggle [Front Camera] to green. 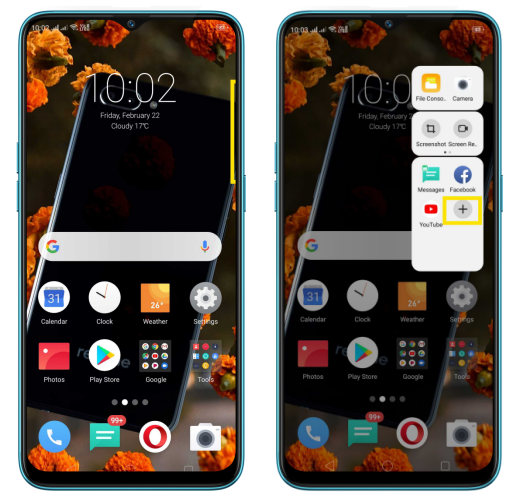 Swipe down from the very top of any screen (except the notch at the top center of the display). You'll see the shortcuts listed on top. Quickly slide the Smart Sidebar to left and click on Screen Recording to start. Allow sound recording. When you want your voice and background sound to be audible. Record screen Taps. When you want a white circle to appear with every tap you make. Note: You can't make any changes to the Screen recording settings while it's being used. All will be grayed out. Note: Not all regions support this feature. Regions that do not support screen recording: Italy, Spain, France, Netherlands, Poland, United Kingdom, Belgium, Turkey, USA, Australia, Tunisia, and Japan. What If the notification bar cannot be pulled down on lockscreen?